With a strong reputation for integrity, reliability, and excellent quality, Ahlborn Structural Steel, Inc. is becoming a leader in the Bay Area steel industry. We are more than a steel erection and installation company; we are a team of steel experts whose number one goal is to create long term relationships with our clients and partners based on trust and results. Steel erection is the core of our company’s services. Our experienced and forward-thinking team is there to ensure that each project is completed as designed with quality and safety always in the forefront. We can build from the ground up or do steel improvements and retrofitting. From girders spanning an entire building to partial structural steel framing, steel erection and installation are what we do best. We pride ourselves on quality, safety, timeliness, and performance. 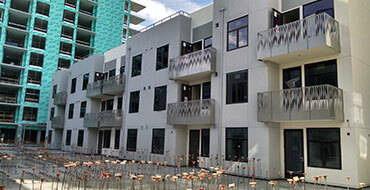 We work well with general contractors, superintendents, project managers, architects, and others. We believe in the spirit of partnership and our goal is to exceed your expectations each and every time. We understand that your clients have specific requirements and we will work closely with your team to make sure that they are met. We also go above and beyond to ensure a safe environment for our workers and yours. We welcome contractual work and look forward to working with you. We love custom steel work and can tackle projects of various types and sizes. 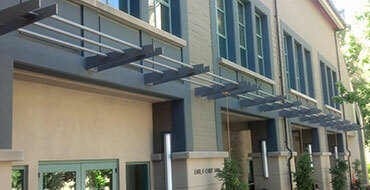 In fact, most of the work we do is custom steel erection and installation. From architectural steel work to structural steel framing, we can work with your design team to ensure that your custom job is done properly. You want an experienced and dedicated team like Ahlborn Structural Steel, Inc. to work on your custom steel project. Our ultimate objective is to complete your custom project safely and on time with an emphasis on quality. 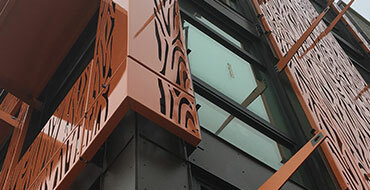 Ornamental and architectural metal installation is always an exciting part of our business. Making a unique design concept a reality is what we live for at Ahlborn Structural Steel, Inc. Thanks to our genuine commitment to customer service, excellent workmanship, and years of experience, we exceed expectations on every project. 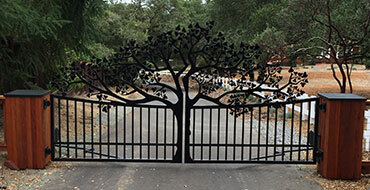 We have the ability to install metalwork for architectural features, ornamental steel structures, railings, staircases, gates, interior designs, and more. 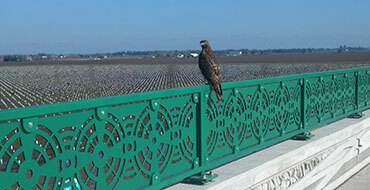 We serve the commercial and industrial markets as well as public works and private projects. 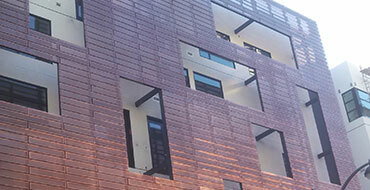 Our area of expertise is in steel erection for office, retail, and residential buildings in San Francisco. We can also do steel construction and installation for warehousing facilities, schools, hospitals, bridges, shopping center, and more. To view the full list of the industries we serve, please visit the link below. Always placing our customers first and our extensive industry experience form the foundation of our success. We choose our staff carefully both for field work and office. We want to make sure that each Ahlborn Structural Steel's employee embraces the culture of our company and our commitment to quality, safety, and service. We also have an experienced management team whose technical expertise is unrivalled in the Bay Area steel trade.